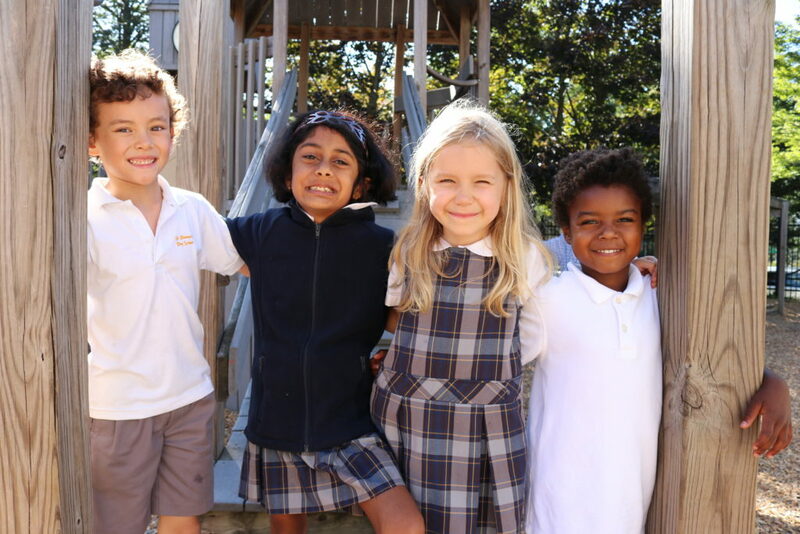 An Episcopal school is a learning community offering a challenging yet supportive education while instilling lifelong values of courage, integrity, kindness, justice, responsibility and curiosity. Intentional pluralism is a hallmark of Episcopal schools. Because St. Thomas’s Day School is an interfaith and diverse community, respect for all people and all faith traditions is paramount. St. Thomas’s actively seeks families and students of all faiths and backgrounds. Students attend St. Thomas’s from a variety of religious, cultural, racial, and economic backgrounds. Why choose St. Thomas’s Day School? St. Thomas’s Day School is known for its culture of excellence and for supporting each child in developing emotional intelligence. We believe in setting high expectations, inspired teaching, an interactive environment, meaningful inquiry-based learning and innovation. We are invested in developing the whole child. Our students and alumni stand apart. They are recognized for their skills in leadership and teamwork, their compassion and empathy, and their understanding of the world. What happens during Chapel at St. Thomas’s? Chapel is the gathering place of the community. Children sing, celebrate birthdays, and listen to a lesson or story, usually ethical in nature. Chapel reinforces themes from the classroom, with cultural celebrations to explorations of identity and the importance of friendship. Throughout the year there are special Chapel services for Rosh Hashanah, Blessing of the Animals, Veterans Day, Ramadan, Grandparents and Special Friends Day, Diwali, Christmas, Hanukkah, The Lunar New Year, Martin Luther King, Jr. Day, African-American Read-In, Earth Day, and Fourth of July. Chapel is different and unique every day but always musical, creative and of course fun! What is taught in Religious Studies at St. Thomas’s? The study of religion is an academic subject at St. Thomas’s. Age-appropriate religious literacy, including comparative religion, is the core of the school’s Religious Studies program. Our goal is to not only provide a foundation for understanding the role of religion in people’s lives, but also to share practices and explore religions around the globe. Multiple perspectives, multicultural themes, and issues of equity and justice are integrated into the curriculum.